With 40 years in business, we’ll be here tomorrow. Electronics, Speakers, Headphones, and Accessories for all budgets. We specialize in phenomenal sounding high-performance stereo music systems. Sales, setup and verification of turntables; including tonearms, cartridges, and record cleaning accessories. Sales and setup of streaming music systems, wired and/or wireless. Walk in for a great listening experience, or call ahead for a custom appointment. Trade-ins of home stereo equipment considered toward new purchases. In-home consultation and evaluation of hi-fi equipment available. December 1975: Harry Francis opened the doors to Audio Dimensions in Birmingham, Michigan. The business moved to its current Royal Oak location on Woodward Avenue (at Normandy) in 1984. Harry’s background in education and electronics provided the impetus for Audio Dimensions’ creation. Upholding principles - focusing on the right product lines, properly educating customers, and providing a comfortable atmosphere to audition audio systems - has afforded Audio Dimensions many decades of success. 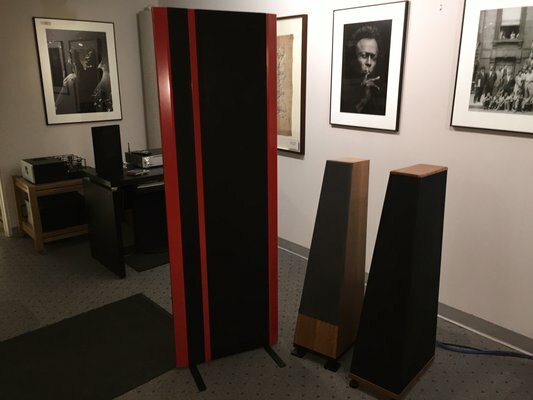 While several stereo and high-fidelity audio stores along Woodward Avenue have unfortunately disappeared, Audio Dimensions celebrates its 40th anniversary in 2015! We are one of the original, continuous dealers in the country for several classic lines, including: Audio Research, Magnepan, and Kimber Kable. Audio Dimensions represents manufacturers whose products offer superb performance, value, and reliability. Assembling a high-performance audio system should be fun, exciting, and rewarding. Audio Dimensions offers many approaches and budget-options to help our customers build satisfying stereo and home theater systems. If you wish to audition or speak to us regarding any of our products, please stop in for a listen or contact us at your convenience. We look forward to earning your business for many years to come. Thanks for supporting us and keeping local high-fidelity audio alive and kicking! At Audio Dimensions, we feel education is of paramount importance. Many customers are interested in how electronics and loudspeakers work, but have never been taught, or worse, have been misinformed. Therefore, we are amassing an archive of links to videos and articles to help audiophiles and music lovers better understand all links in the audio playback chain. Video on the Stereo Phonograph Record: How Does It Work?